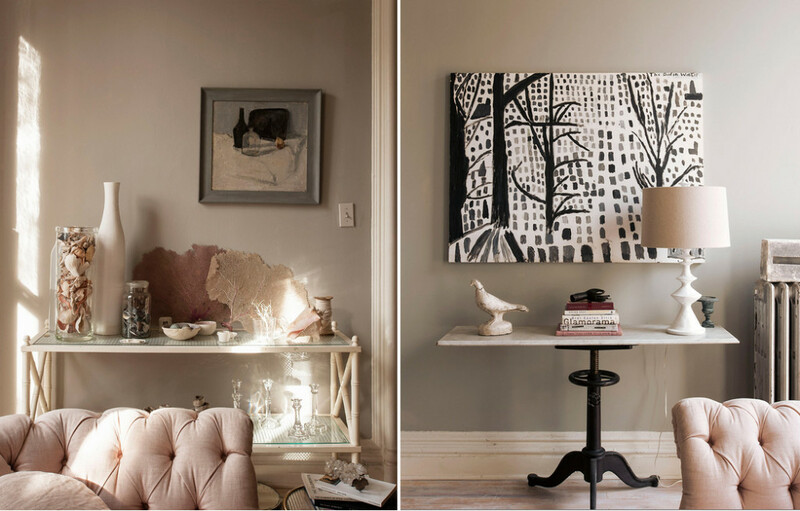 Interior designer Hilary Robertson moved from a four-bedroom Victorian in Hastings, England to Brooklyn about nine years ago with her husband and infant son. Prior to her departure west, she had to get rid of most of the objects and furniture she had used to make her house a home for many years. 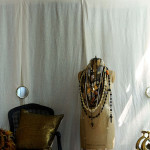 Attempting to settle into her new space in Brooklyn, she found it challenging to recreate the same feeling of home she was accustomed to back in England. That was until she and her husband made their first trip to the Brimfield Antiques Flea Market in Massachusetts where Ms. Roberston’s passion was reignited. 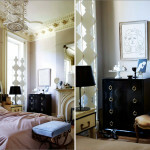 Her home is now a sprawling tribute to her own personal style and is packed full of beautifully curated rooms. 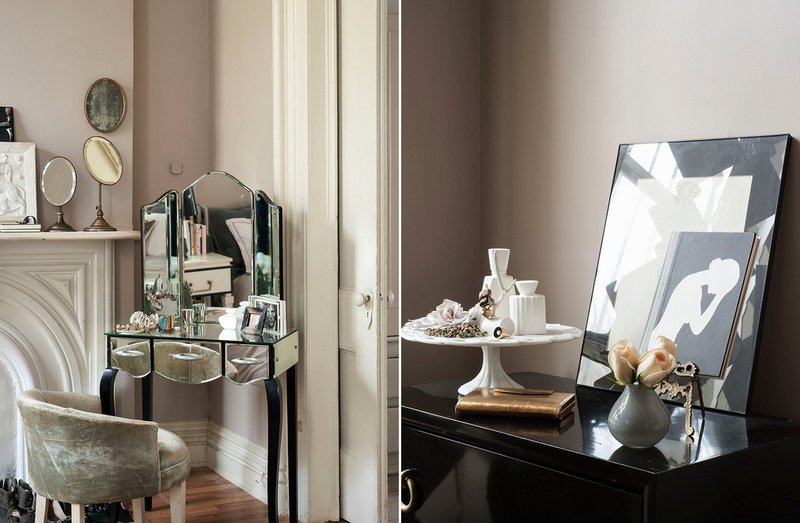 The home is a soft array of neutral tones that fit together without feeling washed out. 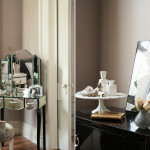 Each area of the home is meticulously styled with feminine, gentle accessories that leave us feeling carefree and calm. The color scheme in the kitchen is much darker in tone and features deep blue walls contrasted with a shiny white dining room table. 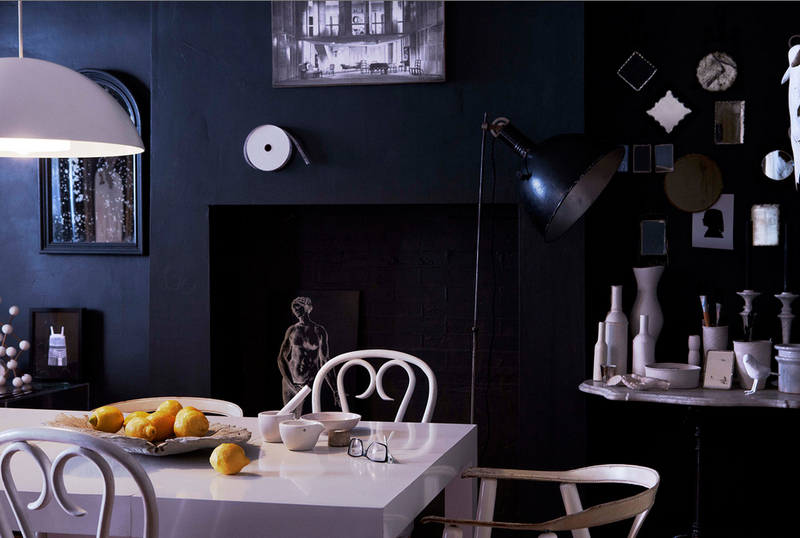 Unique art adorns the kitchen walls, while the corner of the room is occupied by miniature mirrors and bone-colored cups and vases reflective of the designer’s European influence. 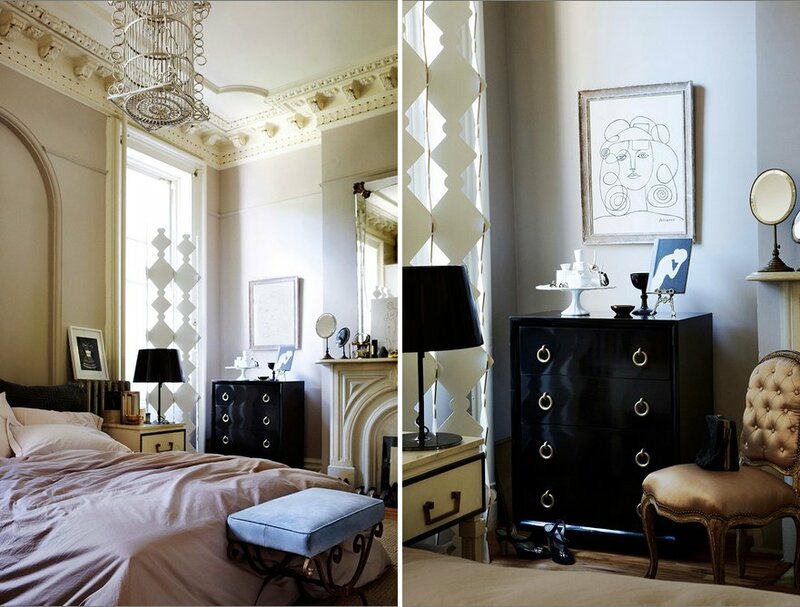 The bedroom is bold and luxurious and boasts ornate molding where the ceiling and wall meet. 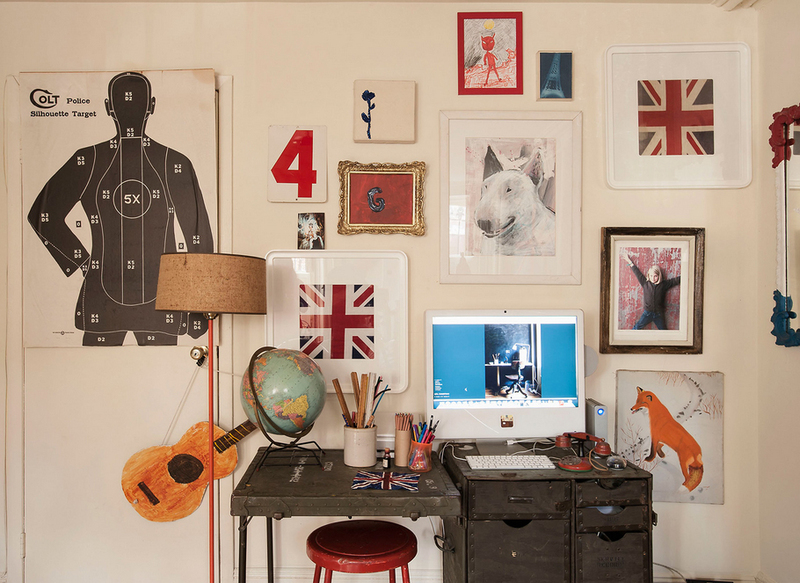 The kids’ bedroom and desk area is more playful in both color and mood and is tribute to British kitsch and industrial furnishings. You can see more work from Hilary Robertson by visiting her website.